Water saving tips from Emergency plumbers Dublin. The water charges have finally arrived. Rather than complain your favorite Dublin plumbers have produced an article to help cut down those water bills that you will be getting in March. Also, we tell you how much water a simple dripping tap can waste and all the facts you need to know about water consumption. Just click here. Emergency Plumbers Dublin deal with all possible types of plumbing services and plumbing emergencies imaginable. Our plumbing team has gained vast experience over the years in the plumbing industry. 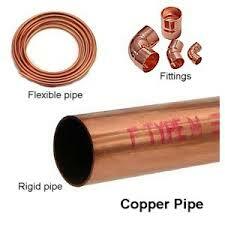 This extensive experience is brought to every plumbing job we are called to complete. Not only do we have extensive plumbing experience, we have outstanding professionalism and customer service. This makes us the number one choice when it comes to emergency plumbing services in Dublin. Our complete range of plumbing services covers everything. This includes oil and gas boilers and central heating systems. We also provide water pump and tank replacement or repair and all pipework as required. We plumb bathrooms, offer drain cleaning services, provide RECI electricians, plastering, tiling and floor laying, carpentry, roofing and building. In fact, we can cover all your domestic maintenance requirements. Our company is renowned for operating a transparent charging system. We offer up front pricing at economical rates. We do not apply hidden fees or charges. All of our work is 100% guaranteed. We provide a 24-hour emergency plumber service throughout the county. Our 1 hour rapid response time means you will never be left stranded. Emergency Plumbers Dublin are Ireland’s leading and largest independent plumbing service company. 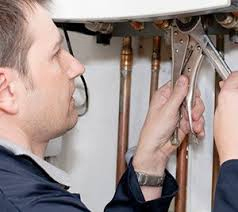 Emergency Plumbers Dublin provide a complete range of plumbing services. The team at emergency plumbers Dublin complete all types of household and commercial plumbing jobs from fixing a leaky tap washer to the installation of a modern new bathroom suite. Our R.G.I. registered and fully vetted Dublin plumbers are always on call. This means they are available to serve the people of Dublin and surrounding areas day and night. We are a trusted and well-established plumbing company. We continue to provide a quality service at transparent rates to domestic and commercial customers throughout Dublin and the surrounding areas. With almost 30 years of experience in the plumbing trade, we run our business with honesty and top class personal service. We are always available to speak directly with our clients prior to arrival. We will explain your plumbing issue and discuss the best solutions. 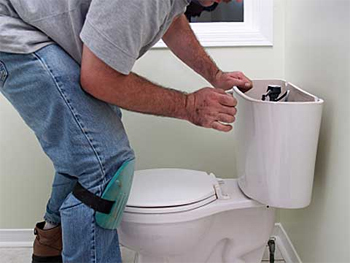 This allows us to deal with your plumbing problem quickly and efficiently. About our team at Plumber Dublin. At plumber Dublin our wide range of experience and dedication to the job has enabled us to provide our clients with technicians fully trained to handle all aspects of plumbing service. This can be a whole house re-pipe to a badly blocked toilet or leaky tap. We are the only call you need to make. With our fast, friendly, professional technicians you will know that the job is done correctly. Our satisfaction guarantee at plumber Dublin means we stand behind all of our work. When you are in need of plumbing repair service for your home or business, we can help. Our well-stocked service vans are always capable of handling all of your plumbing needs. We do our utmost to provide the quickest, most efficient and reasonably priced plumbing service throughout Dublin. For all homes and businesses, we are always available. Why work with our plumbers in Dublin? The staff that we only employ fully qualified and experienced plumbing contractors. A 24-hour call out service. We can have a plumber at your home or business in under an hour, day or night. All of our plumbers are R.G.I. registered. No call out chargeS. (please read our terms and conditions by clicking here). We call to every type of plumbing emergency and standard plumbing job. Legislation and legally compliant. We follow and adhere to the latest plumbing and gas regulations. All work done is completed to the highest standards. We are fully covered by our comprehensive public and professional indemnity insurance. Do you need a Dublin plumber that can work with natural gas? If you do, emergency plumbers Dublin can also offer full R.G.I. accredited boiler services for all types, makes and models of boilers throughout the county. Every employee can carry out natural gas work, this includes boiler repair, replacement, servicing, pipework and work on gas ovens, hobs and fires. Call a local Dublin plumber today to arrange all gas services for peace of mind this year. We can arrange a time that suits you for any work. This includes evenings and weekends at no extra charge. Don’t be left in the cold! If you are based in Meath our sister site provides oil and gas boiler servicing in Navan as well as repairs and installation throughout the county. For specialist drain unblocking we highly recommend our friends at All Dublin plumbers, follow the link for more info. Your plumbing emergency doesn’t take a day off and neither do we. We are here when you need us. Our company works around YOUR schedule not ours.